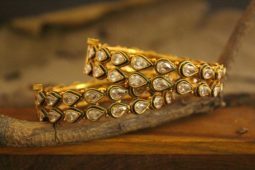 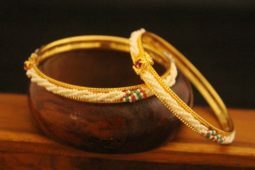 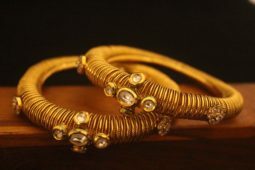 Dwarkesh jewels represents designer golden bangle with antique work. 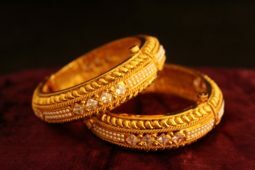 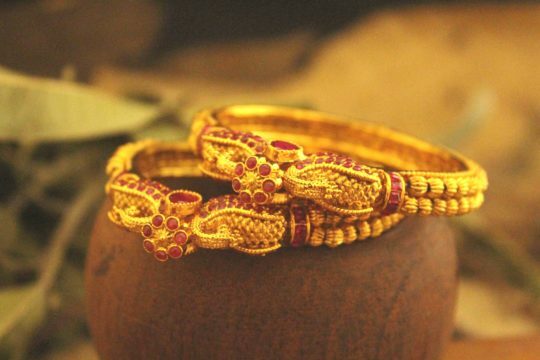 Traditional designer bangles gives unique look to the wedding attire. 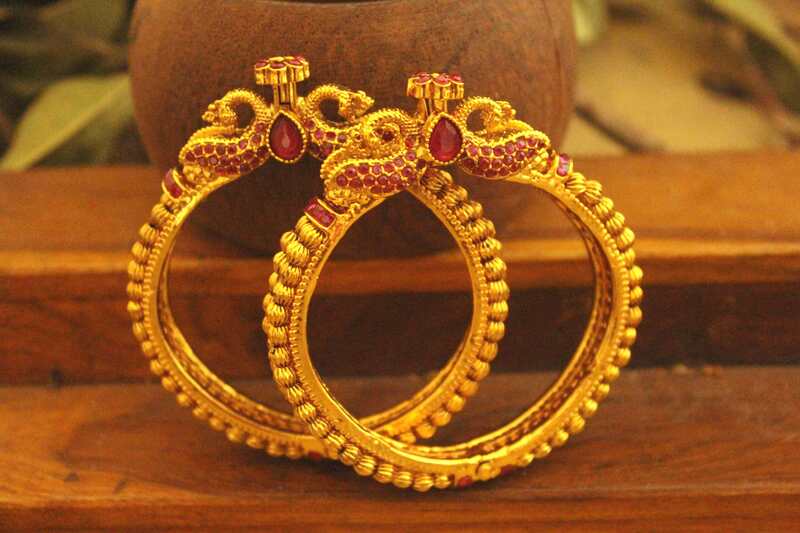 This is folding bangle so its easy to wear.